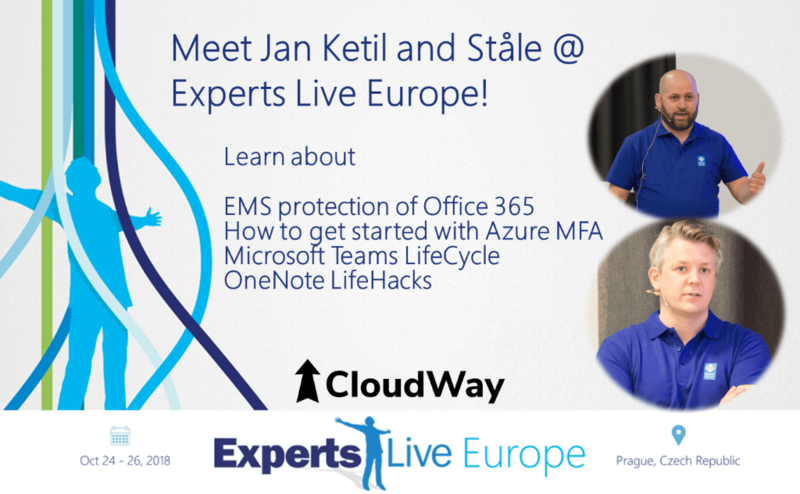 Our MVP’s Jan Ketil Skanke and Ståle Hansen are scheduled to speak at ExpertsLive Europe. Make sure you register for their sessions, these are topics they are subject matter experts on, so bring your questions! Your most important business information is stored safely in the Microsoft cloud, but what are you doing to ensure that only right users are accessing your cloud services? In this session we will do a walkthrough with a lot of demos of how you can use EMS to protect your data with Azure AD Conditional Access, App Protection, Azure Information Protection, Modern device management and Threat protection. It should be no surprise that you should enable 2FA on your corporate logons today, and most organizations have understood the need for securing cloud identities with a second factor of authentication like Azure MFA. But still, a lot are doing it wrong and are breaking the user experience on their path to a more secure environment. It is not very complicated to do Azure MFA the right way by using MS Intune and Azure AD Conditional Access together. Come to this session and get all the details on how to protect all your users and apps in a way that doesn’t break the user experience.